es one of the world’s freshest seafood. Sometimes you can get overwhelm with choices, so we’ve short-listed 16 restaurants you must try when you are in Jimbaran, Bali. ed to form the meal of your dreams: delicious, diverse and affordable. Available at any time of the day, they are designed to be shared as food is always tastier when enjoyed in good company! Or, if you feel adventurous, allow the Chef to prepare his signature ‘chef tasting meal’ (shared for the whole table): highlights of our menu that best reflect the soul of Cuca and are inspired by the freshest market products. Rp. 480,000++ / person (inclusive of a selection of tapas, a dessert and our very unique digestives “Cuca Brews”). 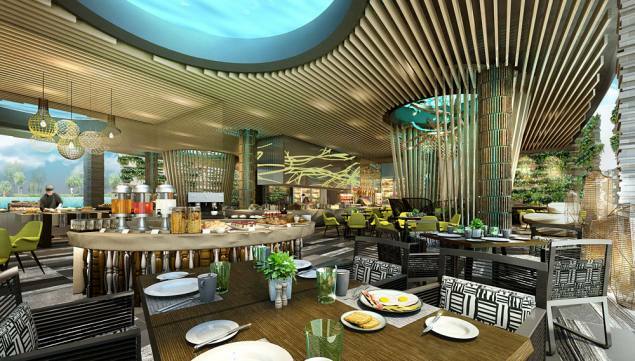 Helmed by Executive Chef Pasquo King, Sundara offers the perfect mix of five-star flair and relaxed beach-club vibe. The expansive indoor-outdoor design combines a restaurant, bar, patio and a row of day beds for lounging by the Infinity Edge.The focus is always on views of the beach and the wide curve of Jimbaran Bay. Although not yet many reviews on the net, the ones that do, have only great things to say about this cafe. 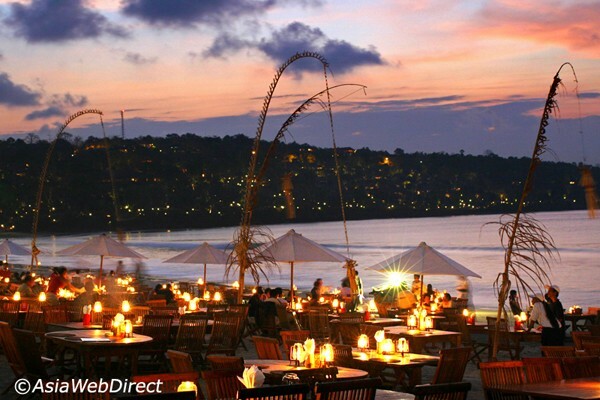 Jimbaran has 3 separate areas where there are a lot seafood restaurants built side by side. One of the area is Muaya Beach. If you want cheap but still tasty seafood, then you can try this Made Bagus Cafe. It’s at the end of the row of Muaya Beach seafood restaurants on the right side when facing the ocean. Bella Cucina signature fine dining venue housed in an elegantly designed dining pavilion, Bella Cucina, meaning ‘beautiful kitchen’, is renowned for its authentic Italian cuisine. Exclusively open for dinner with a select à’la carte menu, Bella Cucina is headed by an Italian Executive Chef who is passionate about classic Italian recipes and regional specialities brought to life with innovative twists and modern presentation. Discerning diners will appreciate the fully-stoked wine cellar with its fine selection of international wines and champagnes. Our seasoned Cellar Master can host special tastings before and after dinner, as well as pairing meal choices with various vintages. This fully air-conditioned restaurant offers and opulent indoor dining room, where culinary magic is centre stage with a lively open kitchen concept. Designed as a glass conservatory and a haven of sophisticated elegance with chandeliers and gold-plated cutlery, Surya is a private dining room (seating 16). The upper level dining room offers further privacy, making it ideal for corporate, family or wedding groups. Private lunches and receptions can be hosted in both areas. For those wishing to dine al fresco under the stars at an authentic Italian restaurant in Bali, Bella Cucina boasts a charming outdoor terrace, extending to tropical gardens illuminated with fire beacons and lanterns, a truly romantic place to dine. Balique is an original eatery found in the relaxed fishing village of Jimbaran, in stunning southern Bali, now home to outstanding world-class resorts and villas. 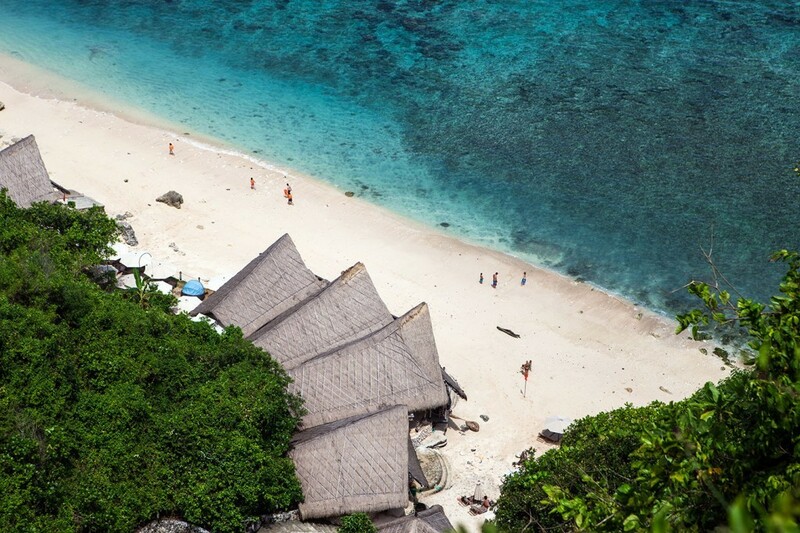 This traditional seaside village and Balique suit each other harmoniously, as Balique pays homage to all the best of the Indonesian archipelago under its whirring fan-open style roof, in both the style and cuisine stakes. If you appreciate an authentic step into the past in stunning surroundings teemed with objets d’art, as well as a delicious menu, fabulous cocktails as well as an extensive affordable wine list – you have arrived home. And for sure, the warm décor along with the charming team of staff will make sure you completely feel at home here – welcome to the amazing world that is Balique and allow yourself to forget the fast, modern world outside, and be at peace in a bygone era of pure sensuality. 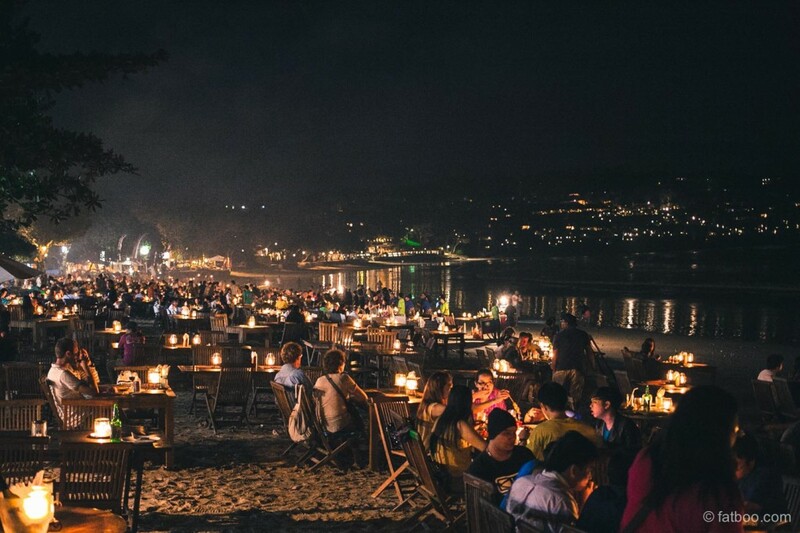 One of the finest places in Jimbaran Bay to catch the sunset, Sunset Beach Bar & Grill is a casual style, open-air beachfront bar overlooking the sweeping curve of the Bay. 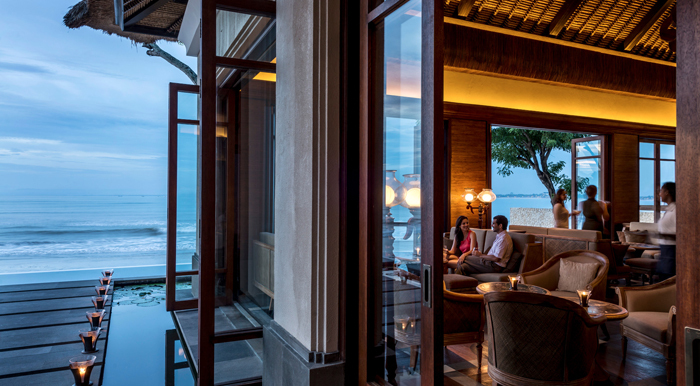 It offers a refreshingly unpretentious, “toes-in-sand” informality, fanned by ocean breezes and with the best front-row seats to unparalleled 180-degree sunset views across Jimbaran Bay. For the ultimate informal all-day dining experience for lunch, dinner and everything in-between, Sunset Beach Bar & Grill serves freshly-made salads, sandwiches and contemporary seafood bites, Mediterranean favourites and other light snacks, while evening’s highlight succulently fresh seafood selection from the grill. The Gelato Counter is a big hit with families and the best way to keep cool. An extensive bar menu covers global beer brands, boutique wines, spirits, non-alcoholic beverages and healthy juices, but the signature here is a vast selection of innovative contemporary cocktails and classic cocktails with a modern twist, including a full range of Mojitos, Daiquiris, Martinis and Margaritas, as well as Sunset Pitchers of Sangria or Pimm’s – great for sharing with friends. Located beside the resort’s main pool, Jimbaran Gardens offers a relaxed al fresco seaside setting, with casual all-day dining accompanied by stunning views across the beach and Jimbaran Bay. The adjoining Pool Bar serves an extensive list of international drinks, including tropical cocktails, beers and healthy vegetable and fruit juices. It is the perfect spot for sundowners. 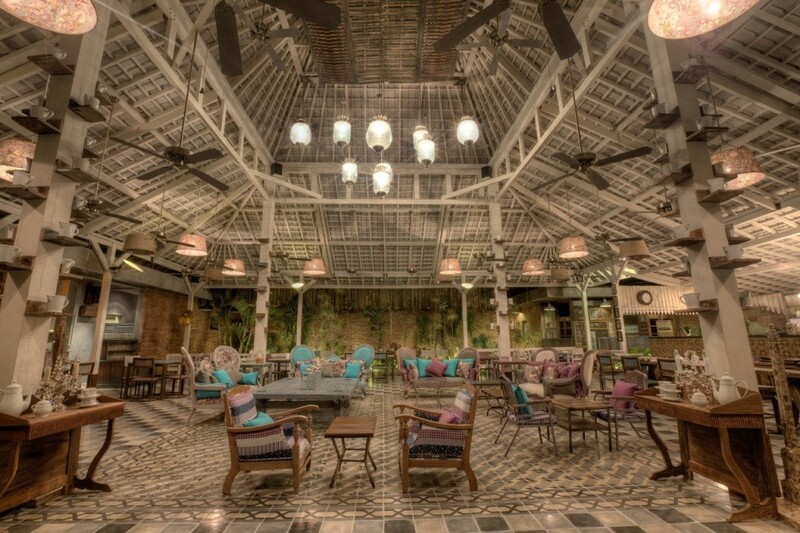 Menus at Jimbaran Gardens specialise in market fresh, locally caught seafood and fish, wood-fired pizzas. A selection of comfort foods and global favourites, including steaks, sandwiches, salads and burgers is also on offer. 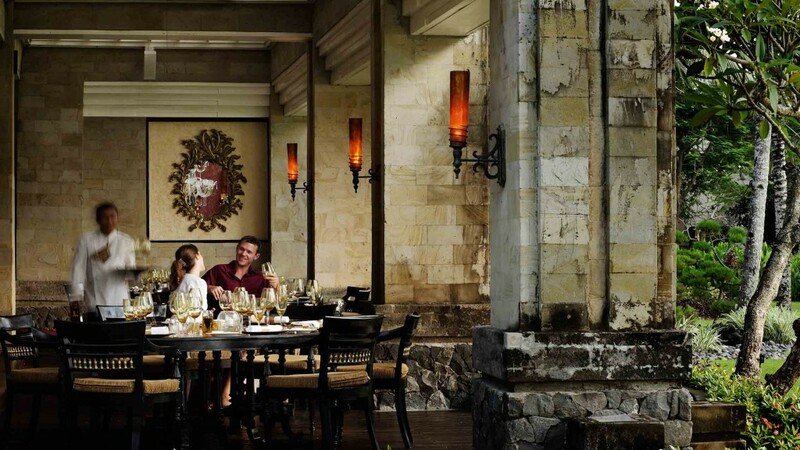 Taste classic Indonesian dishes, celebrating the diversity of archipelago cuisine from a locally-inspired menu. As a family-friendly venue, a special children’s menu with child-sized portions will keep in the fussiest eaters content. Start you day with a sun-filled buffet breakfast (6:30am – 11:00am) at Jimbaran Gardens. Tuck into international and Asian dishes, hot and cold choices, an espresso coffee station and more. Enjoy a light lunch beside the pool, while at dinner indulge in a menu focusing on the catch of the day from the Bay, accompanied by live entertainment under the stars. No matter how much you travel and how daring you may be in sampling new cuisine, most people end up craving good, simple comfort food at some point during their holiday in Bali. The all-day dining menu at To’ge restaurant is inspired by this craving for global comfort food, and is served in a cozy, earthy and modern ambience. RIMBA’s Head Chef presents a menu bursting with flavor and variety, with a selection of home-style cooking from various corners of the world. There are dishes inspired by the street-food culture of Asia: noodles and salads reminiscent of Vietnamese markets, Thai and Indian curries, and Indonesian village favorites. There are also Western classics like the RIMBA Beef Burger, pastas, pizzas and steak in the form of a tender 120-day Australian grain-fed beef tenderloin. The daily buffet breakfast also includes a lavish selection of Asian and international favorites, with live cooking stations, waffles and pancakes, dim sum, sushi and kimchi, coffee station, and the aroma of fresh-baked pastries and breads from the Bakery located in the center of the dining room. The destination restaurant provides an intimate and exclusive affair for those celebrating romance, special occasions, or those just seeking the best epicurean experience. Painted in an air of sultry Moroccan charm, the bar is the perfect vantage point for admiring the natural ebb and tide of the glorious Indian Ocean. With cosmopolitan cocktails and aperitifs, shisha and Arabian-influenced snacks and drinks, Ju-Ma-Na Restaurant is the ideal spot for an evening of languor after a bustling day. 360 DEGREES OF SHEER GLAMOUR, ON THE ROCKS Taking the concept of “on the rocks” to a whole new level, this innovative open-top bar is perched on natural rock 14 meters above Jimbaran Bay and accessed via an inclinator that traverses the cliff-face. 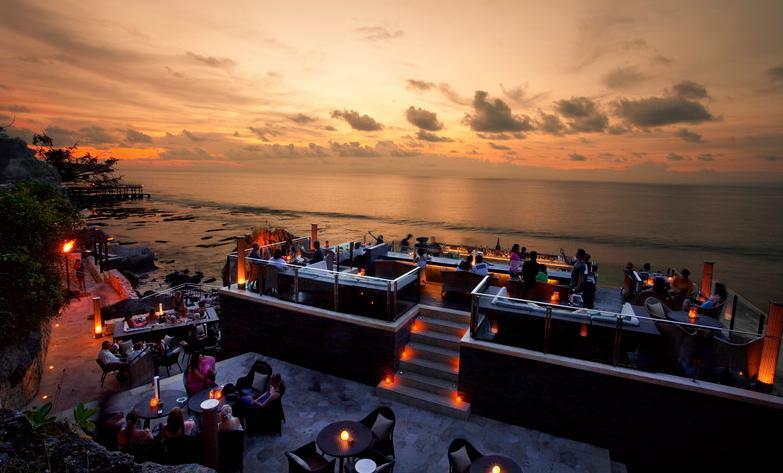 Rock Bar is located along the 1.3 kilometer coastline of AYANA Resort and Spa Bali, a 90-hectare property featuring 78 private luxury villas and a 290-room hotel. It has been heralded as Bali’s best bar and one of the world’s best, by authoritative sources including CNN, Forbes Travel and The New York Times. Probably the best in Jimbaran Bay, Menega Cafe has created a special sauce to compliment an array of fresh seafood. 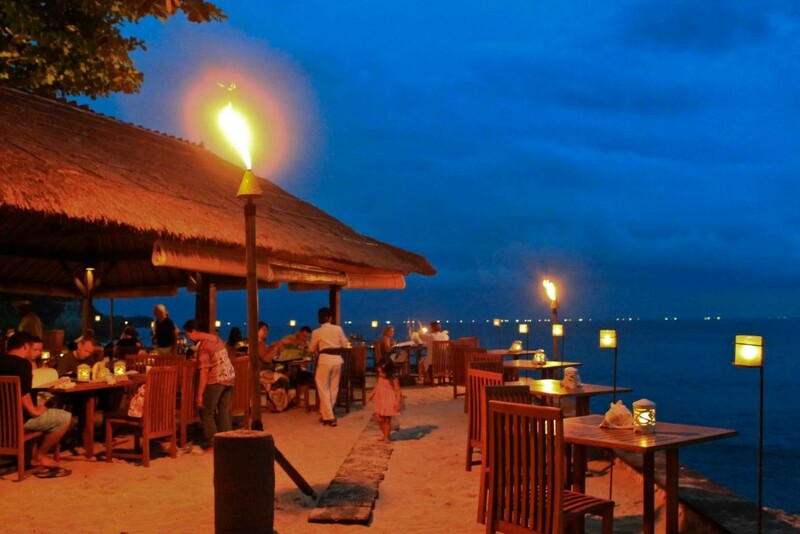 Their sweet, spicy, tangy sauce has definately put them ahead of their competitors on Jimbaran Bay. 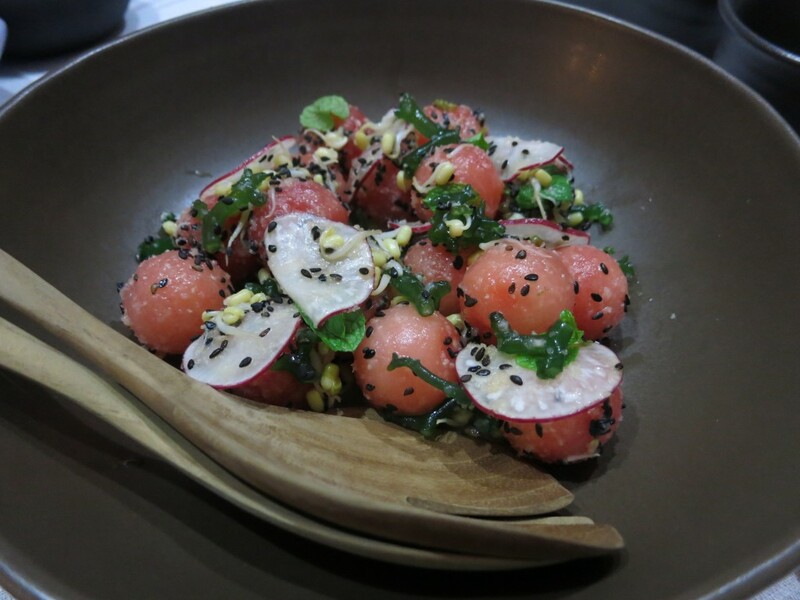 The post 16 restaurants you must try in Uluwatu/Jimbaran appeared first on Qraved Journal.